WARSAW — Night to Shine is an unforgettable prom night experience, centered on God’s love, for people with special needs ages 14 and older. On Feb. 9 more than 500 churches from around the world will come together to host Night to Shine for approximately 90,000 honored guests through the support of 175,000 volunteers. First Christian Church in Warsaw, with the help of the Kosciusko Community YMCA, is hosting its first annual Night to Shine. The YMCA is also collecting prom dresses for guests to wear. The dresses can be dropped off at the YMCA, 1305 Mariners Drive, Warsaw, until Jan. 12. The dresses can either be donated permanently to be used in future events or borrowed temporarily and returned after the event. Every guest of Night to Shine enters this complimentary event on a red carpet complete with a warm welcome from a friendly crowd and paparazzi. Once inside, guests receive the royal treatment, including hair and makeup stations, shoe shining areas, limousine rides, corsages and boutonnieres, a catered dinner, karaoke, prom favors for each honored guest, a Respite Room for parents and caretakers and a dance floor. 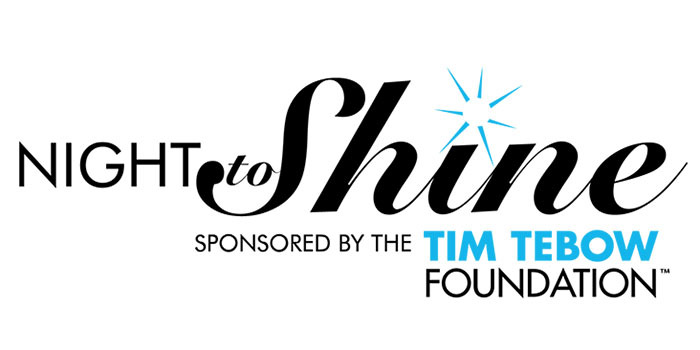 As sponsor of Night to Shine, the Tim Tebow Foundation will provide each host church with the official 2018 Night to Shine Planning Manual, the official Night to Shine Prom Kit, complete with decorations and gifts for the guests, and personalized guidance and support from a Tim Tebow Foundation staff member. The foundation also has committed over $3.5 million in financial support to hundreds of churches needing assistance in hosting the event. When Night to Shine launched in 2015, 44 host churches and 15,000 volunteers worked together to honor more than 7,000 kings and queens of the prom. This past February, 375 host churches and 150,000 volunteers came together to celebrate 75,000 honored guests with special needs. Churches are signing up every day for Night to Shine 2018 and the event is expected to take place in over 500 locations in all 50 states and on 6 continents this coming February.